Calm Down, Everything Is Fine is great! Beautifully crafted indie pop songs that strike a wide range of emotions. As much as I loved the band’s debut full-length, Home, Calm Down is a stronger record. The focus is more pop oriented and the songs reflect a maturing. But the band’s signature quirky style rock and roll is still at the center of the album. Played It Safe is a short crescendoing intro with a beautiful melody line that reminds me of some of Sunny Day Real Estate’s great songs. That gives way to Everything’s Gonna Be Alright, a summertime pop/dance jam. Upbeat and bouncy with a great hook and a guitar line that would make Maroon 5 jealous. By My Side, Noises, and In The Night bring the great rock sound that the band popularized on their debut. Slow Down is an acoustic ballad that sounds like a less cheesy Hey There Delilah. Take It All is another fun summer time car ride jam. Stones is a beautiful piano ballad. The title track closes the record, and it’s a mini rock opera. The twists and turns create an interesting soundscape and journey. Calm Down, Everything Is Fine is one of the best record I’ve heard so far this year. It’s a true pop gem. 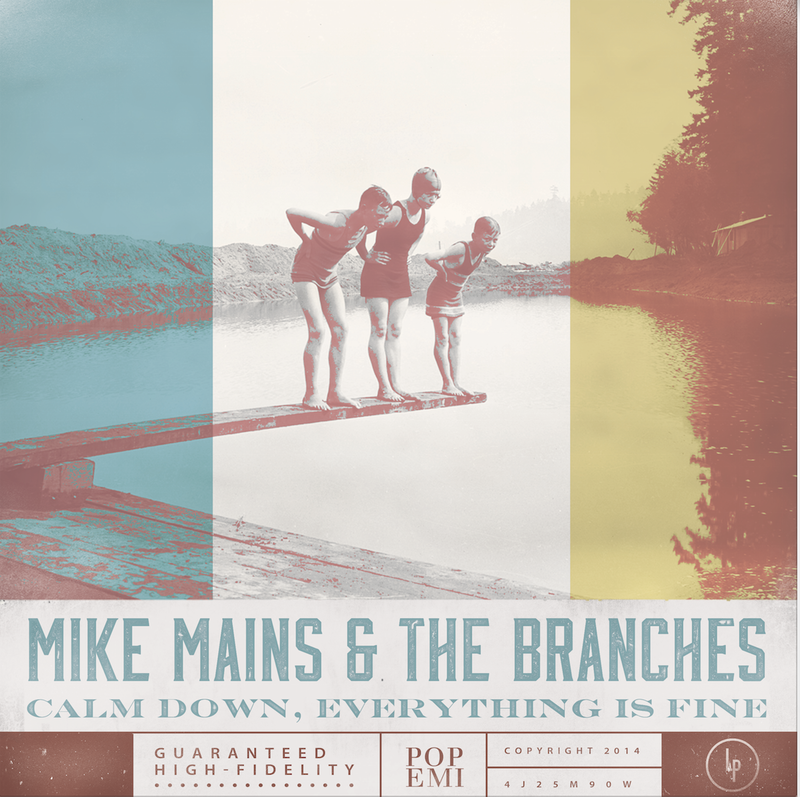 Fans of the band’s previous work as well as fans of Lovedrug and The Arcade Fire will love Mike Mains & The Branches.